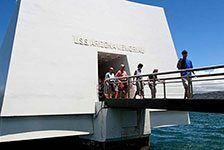 Pearl Harbor memorial tours in Oahu give visitors a chance to immerse themselves in a journey through history. Hear expert guides explain the events, witness dramatic footage of the attack, view artifacts in the Arizona Memorial WWII museum, and much more in this thorough and fascinating look at Pearl Harbor. ReserveHawaii.com offers several Oahu Pearl Harbor tours to choose from, including Pearl Harbor tours that also take you to other Oahu landmarks, shopping, and much more. 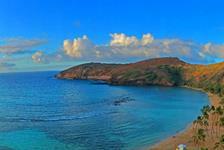 Book your Pearl Harbor tour in Honolulu today!